Illusions WoodBond™ vinyl wood grain in Eastern White Cedar. 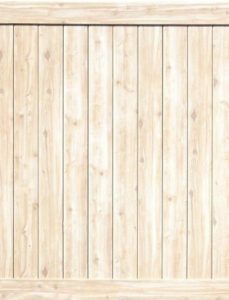 V300 solid privacy fence panels (as seen below) are in stock in the six foot height in any of the wood grain finishes by Illusions™. 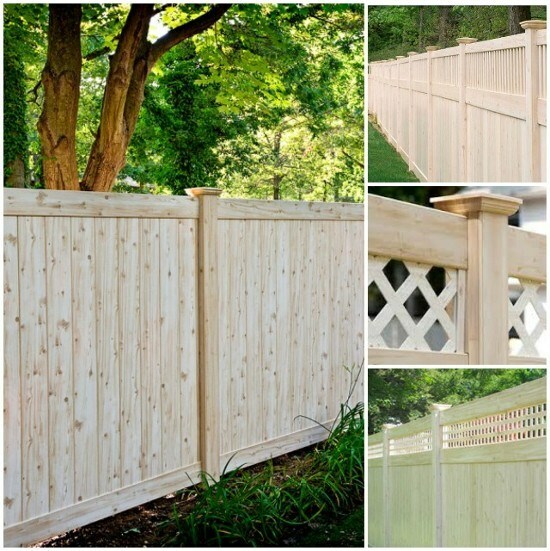 Wood grain vinyl fence sections are ready for immediate delivery with matching posts, post caps and a crowned top walk gate. You can choose from any of the five Illusions™ vinyl wood grain finishes or create your own mix and match fence with a wood grain and any Grand Illusions color. Your Illusions™ wood grain, no maintenance vinyl privacy fence can be delivered to your home in 72 hours or less – please check our delivery service area. Eastern White Cedar wood grain or the other WoodBond™ wood grains can be yours in any of the Illusions™ fence and vinyl railing styles as a special order. 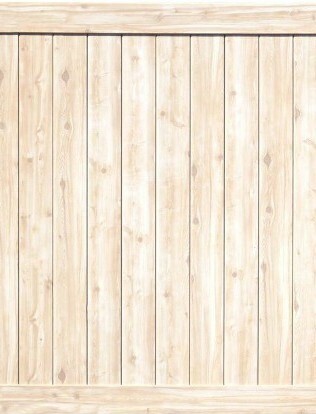 Special order wood grain vinyl fence takes about two weeks to fabricate.